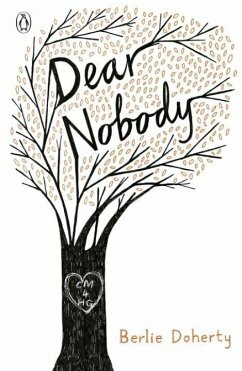 DEAR NOBODY by Berlie Doherty, winner of the Carnegie Medal, is the moving story of two teenagers and an unplanned pregnancy. It is one of The Originals from Penguin - iconic, outspoken, first. This compelling story is beautifully told from two points of view, brilliantly evoking the feelings of both Helen, in a series of letters to the unborn baby, and of Chris as he reads the letters and relives the events of their relationship while Helen is in labour. 'I have never read a book that evokes so vividly how it feels to be a teenager in love.' Daily Telegraph The Originals are the pioneers of fiction for young adults. From political awakening, war and unrequited love to addiction, teenage pregnancy and nuclear holocaust, The Originals confront big issues and articulate difficult truths. The collection includes: The Outsiders - S.E. Hinton, I Capture the Castle - Dodie Smith, Postcards from No Man's Land - Aidan Chambers, After the First Death - Robert Cormier, Dear Nobody - Berlie Doherty, The Endless Steppe - Esther Hautzig, Buddy - Nigel Hinton, Across the Barricades - Joan Lingard, The Twelfth Day of July - Joan Lingard, No Turning Back - Beverley Naidoo, Z for Zachariah - Richard C. O'Brien, The Wave - Morton Rhue, The Red Pony - John Steinbeck, The Pearl - John Steinbeck, Stone Cold - Robert Swindells. Berlie Doherty is one of Britain's best loved and most distinguished writers for young people. She has won many awards, including the Carnegie Medal for both DEAR NOBODY and GRANNY WAS A BUFFER GIRL. She has also written for adults, and writes plays for radio, theatre and television. She was born in Liverpool and now lives in the Peak District.